Reprinted from the Daily American Republic Sunday, April 16, 1995 edition. 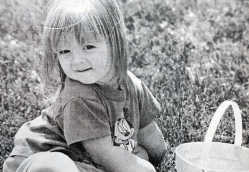 This look back on the 1995 Poplar Bluff Rotary Club's annual Easter egg hunt at Kiwanis Bacon Park. 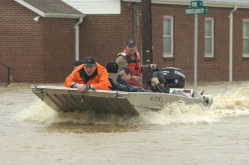 It's been a more than a decade since incessant rains flooded the southeast Missouri area during 2008. Little did our communities know then that a winter storm dubbed the worst in history would soon follow the flood, ravaging the central part of the United States ultimately devastating our region further. Since that time, our towns and riverways have endured a barrage of tragic flooding in the years of 2011 and 2017. We may face adversity at times in our communities, but we never fail to rally together and conquer anything standing in our way. In 1949, the citizens of Butler County gathered in Poplar Bluff to celebrate the county's 100th birthday. 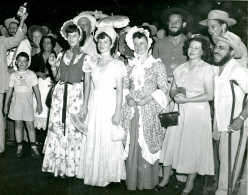 The Centennial Jubilee was marked with dinners, parades, train rides, costumes and contests. 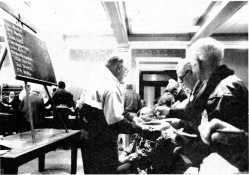 The photos shown here were pulled from the Daily American Republic archives with no additional information or identifiers on any of the citizens and/or events pictured. We ask our readers to look closely at these vintage images in hopes of properly identifying these treasured photos from a cherished community event. 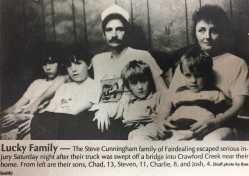 If you have any information regarding the photos in this gallery please contact our office by email at www.news@darnews.com Enjoy this week's throwback to the past. 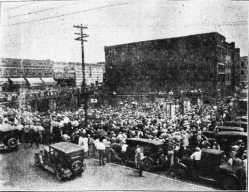 Photo of the first 'Cow Day' held in Poplar Bluff as first published in The Weekly American, now the Daily American Republic, June 13, 1929 edition. 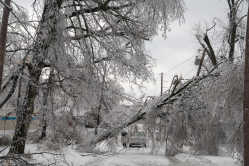 FULL ARTICLE The 2009 ice storm is described by the National Weather Service as the weather event of the decade. Initial estimates of damage topped half a billion dollars for the Paducah NWS forecast area. 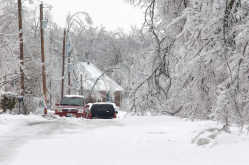 'Catastrophic' amounts of ice of up to 2 inches were seen in the area, as well as 2-10 feet of snow between Jan. 26-28, 2009.